Journalism is one of the oldest professions in the world. For years, many people in society look to journalists because journalism is one of the noble professions in the entire world. I am sad to admit that some journalists are losing the respect they once had because journalism today is about business as usual. Some journalists are focusing on the negative news, because negative news sells like a hot commodity. I strongly believe that journalists should base their reports on facts rather than on their feelings. I came to Sweden in 1991, and my lifelong dream of becoming a journalist became a reality when I enrolled at the Nordic College of Journalism, a private college in Smaland. The NCJ is the only college in the Scandinavian Countries and perhaps in Europe, which trains editorial and cultural journalists, who will be able to stand up for the truth and against disinformation. As compared to other higher institutions of learning in Sweden, NCJ offers courses like Mass Media, Economics, Political Science, and Religion, which are unique to would-be journalists. The role of any reporter in a society is to present the truth. Journalists should be neutral, and the best way to do this is to avoid one-sided reporting. Journalists should report the news, and let the public make the decision. This is not the case in the world today because journalists are behaving like politicians, and are making important decisions in the community. Sweden has one of the freest press in the world, and the style of reporting is the main issue. Most of the Western journalists do not know the history of Africa from a wider scope. So there is a growing tendency to report the news without doing any good research. Another problem is the language. Some of the journalists do not speak any African language, as such English is the only way of communicating ideas. The most important page of any magazine or newspaper is the editorial page. The only problem is that 5% of society reads the editorial page. Everyone is interested in the headlines. I mean, we value breaking news more than the editorial pages. By reading the editorial page of the magazine or newspaper, an individual can pinpoint the political ideology of the paper. You can tell whether it is right-wing, left-wing, conservative, liberal or mainstream journalism. The only problem is human rights. Tolerance is the thing of the past in China. I hope the people of North Korea will learn from the South Koreans. Recent developments in Iran shows that some societies are not ready for tolerance. Journalists must realize that the media has a function in society, and as the guardian and watchdog of a nation, journalists can avoid scandals by focusing on the good, bad, and ugly. The media must not use language that is offensive to some group, and reporters should use the freedom of the press in the right way or they will lose it. The media can combat intolerance by refusing to inflame hatred among different people. The late human rights lawyer Gani Fawehinmi of Nigeria spent his entire life fighting intolerance. Gani Fawehinmi was right when he advised individuals to “stand up for what is right, even If you are standing alone.” The media should be mindful of how they treat people from different parts of the world, because what they show, what they write, and what they say will affect people in a different way. 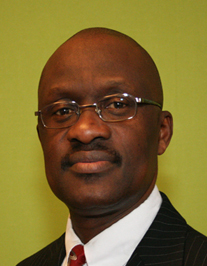 Charles L. Massaquoi is a Liberian Journalist/Media Analyst, who is currently residing in Malmo City, Sweden. Website: www.nanews.net. He can be reached at publisher@nanews.net.